In introducing its Charity Tick, the ACNC aims to offer the public a sense of confidence in the authenticity and trustworthiness of nonprofits explains Susan Pascoe. At the end of November, the Australian Charities and Not-for-profits Commission (ACNC) will be launching the Charity Tick – a simple way for registered charities to visually display their authenticity and trustworthiness, and help the public feel confident they are donating to a registered charity. There are a number of benefits of registration with the ACNC. 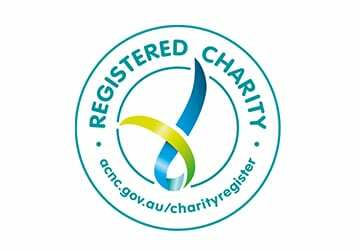 In addition to being able to access generous Commonwealth charity tax concessions, registered charities benefit from the credibility that comes with a listing on the ACNC Charity Register. Our 2015 Public Trust and Confidence research showed that support of charities is closely entwined with trust and that charities are the third most trusted group in Australia (behind doctors and the police). Importantly, when the ACNC’s role as the charity regulator was explained to research survey respondents, their trust in Australia’s charities grew significantly. This shows that registration with the ACNC can positively impact an organisation’s trust among members of the public. This increase in trust is derived from the fact that there is a regulatory body keeping watch over the sector, finding those that do the wrong thing, and taking action to ensure that all charities operate with integrity and good practice. Another factor is the increased transparency and accountability that has come with the obligations of maintaining charity status with the ACNC. Registered charities are required to report yearly to the ACNC via an Annual Information Statement (including, for medium and large charities, an audited or reviewed financial report). Much of this information is published on the Charity Register at acnc.gov.au – a free, searchable database available to donors. The Charity Register has been searched over 1.6 million times since the ACNC was established in December 2012, showing that it is indeed a valuable resource for those looking to donate their time or money. While awareness of the Charity Register is growing and will continue to do so, some charities may wish to highlight their registration with the ACNC in other ways. The ACNC Charity Tick was designed at the request of a number of Australia’s registered charities as a small, visually appealing logo that can be used across a number of formats. The Charity Tick uses the ACNC’s existing colour scheme and incorporates the ‘ribbon of hope’, a key aspect associated with the ACNC’s logo. By referencing the ACNC’s own logo and the trust that is held in it, the Charity Tick indicates to donors that they can have confidence and trust in the charity, knowing it is registered with and regulated by the ACNC. Charities will be able to use the Charity Tick on their website, at events, on their social media accounts and posts, on letterheads and on other marketing materials. 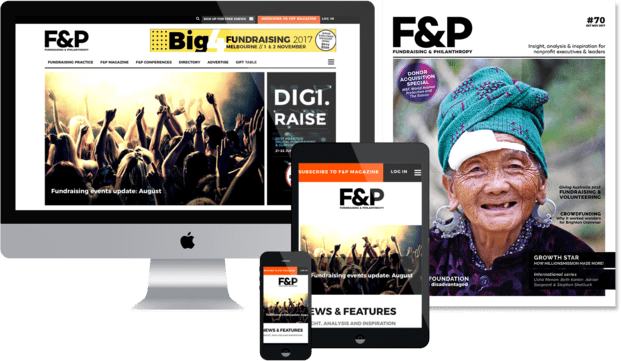 A similar concept already exists in Scotland, and in the United Kingdom and New Zealand charities have a unique ‘charity number’ that can be used when fundraising. In these jurisdictions charities have benefited from being able to easily show that they are registered with the national regulator while undertaking fundraising activities. We see the benefit of the Charity Tick as two-fold: registered charities can display their charity registration status in a simple way and donors can instantly be confident that they are giving to a registered (and regulated) charity. The Charity Tick is now available for charities to download in the Charity Portal. To support the launch of the Charity Tick, the ACNC will undertake a mainstream promotional campaign to raise awareness of the tick with the public. Over time, we hope the Charity Tick will become synonymous with a charity that is well governed, reputable and worthy of the public’s donations. Susan is the inaugural Commissioner Australian Charities and Not-for-profits Commission. Previously Susan was a Commissioner at the State Services Authority in Victoria, a Commissioner on the 2009 Victorian Bushfires Royal Commission and the President of the Australian College of Educators.